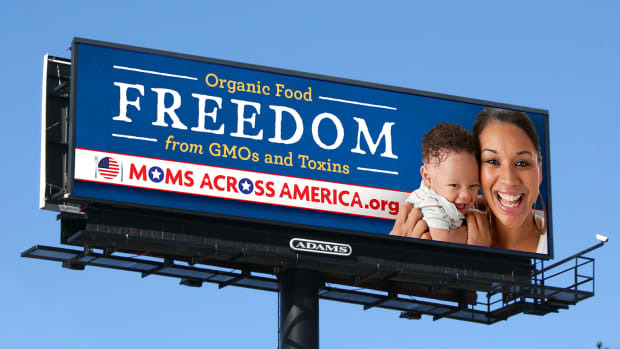 Moms Across America is a grassroots movement born from the ashes of Prop 37 in California to inspire moms to fight for GMO labeling. 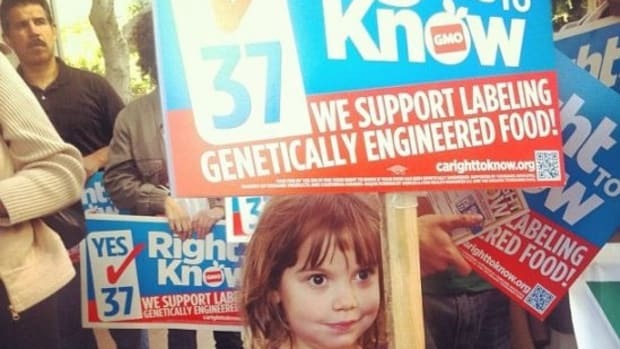 They are organizing moms (and dads) in cities across the country to march in their local Fourth of July parades for GMO labeling. 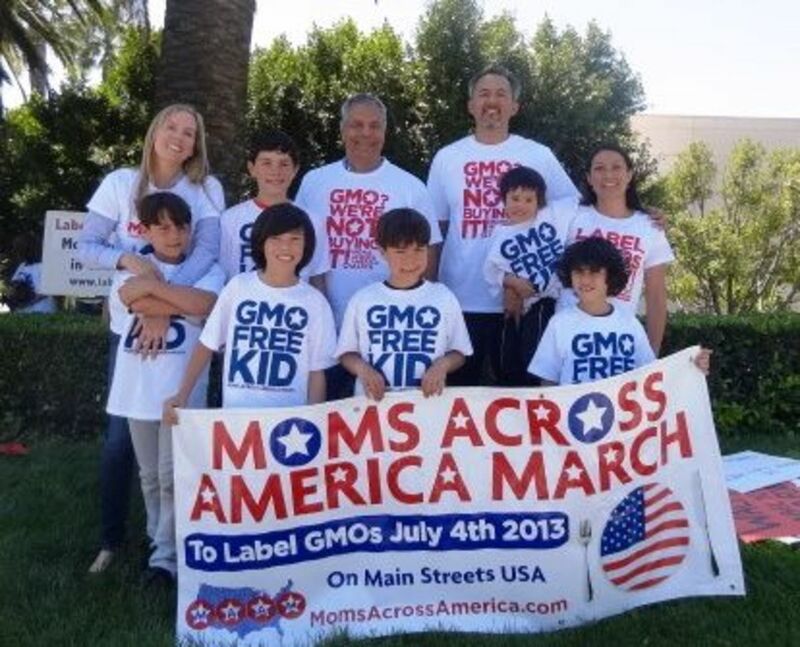 The movement was founded by Zen Honeycutt and Kathleen Hallal (pictured above with their families), both supporters of the Prop 37 GMO labeling law in California, and both mothers to children with life threatening food allergies who found some relief going GMO-free. Devastated by the defeat of Prop 37, these two women decided to take matters into their own hands and start organizing the most powerful group of people they knew: other moms. 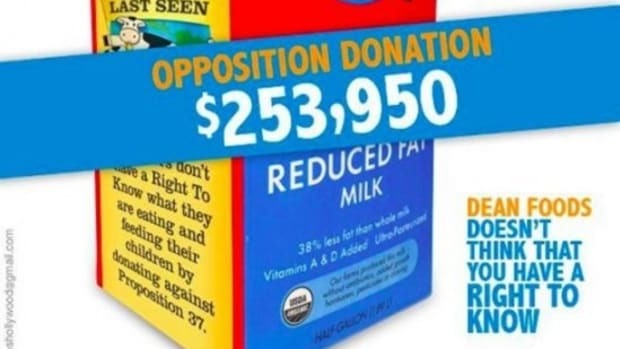 Moms have had success in the past convincing big business to do what&apos;s right, because business know that mothers control the vast majority of a household&apos;s money and purchasing decisions. Who? Moms! Because we buy 85% of the food! It&apos;s up to us! 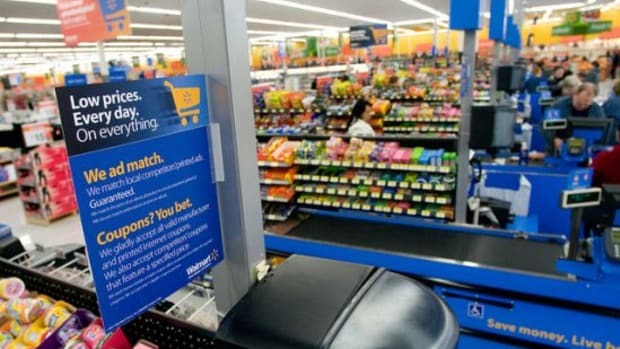 If we don&apos;t buy it, they can&apos;t sell it! Plus, Moms are unstoppable and our only special interest is our family. Moms across America have seen rising health risks associated with GMOs in the food we feed our children. We want the ability to know what is in our food to care best for our families. We also invite EVERYONE to join us! Why Label? Because many Americans still don&apos;t know what a GMO is. 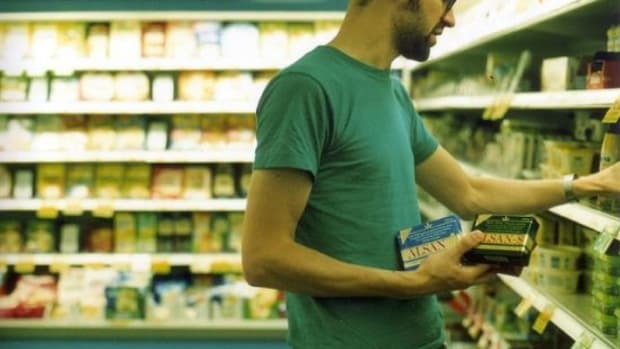 With a label they will at least start to find out what&apos;s really in our food. How? SIGN UP TO MARCH in your local parade! And until then, if just one MOM shares about GMOs with 10 Moms, who all share with 5 Moms, and each of those share with 5 Moms, who share with 5...that one Mom, YOU will have reached 1270 Moms in your town! WE CAN DO THIS! These are OUR children, our country and our RIGHT to take care of our families&apos; nutrition fully informed. When? July 4th! 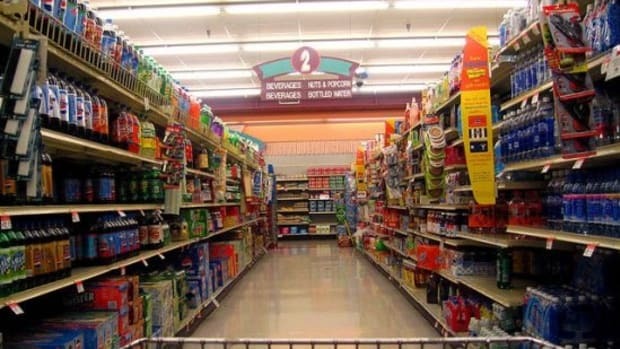 It&apos;s a day of TRUTH in Labeling, JUSTICE for future generations and LIBERTY FOR ALL to know what is in our food! The neighbors are out about town, and we Moms can easily join a parade we would probably attend with our families anyway. Tell all those you care about—your yoga class, your women&apos;s circle, your book club—get everyone on board! The whole family is welcome! 62 other countries have either labeled or banned GMOs. Why not America? Because we just haven&apos;t been LOUD enough about it! Time to bang some plates and GET LOUD! 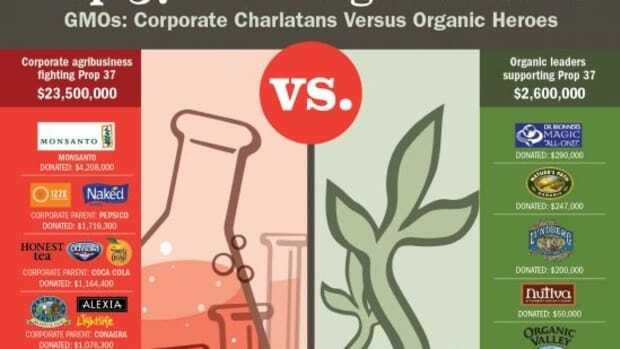 We want GMOs Labeled NOW! Because We Said So! Where? Sign up to march near you! If there&apos;s no event near you, then you have an opportunity to be a catalyst for change by creating one and getting moms nearby to join in. It&apos;s as easy as hosting a GMO movie night. See "GMO Info" for great ways to share with your friends. People interested in joining the march can find a parade near them on the Moms Across America Website or create an event of their own.